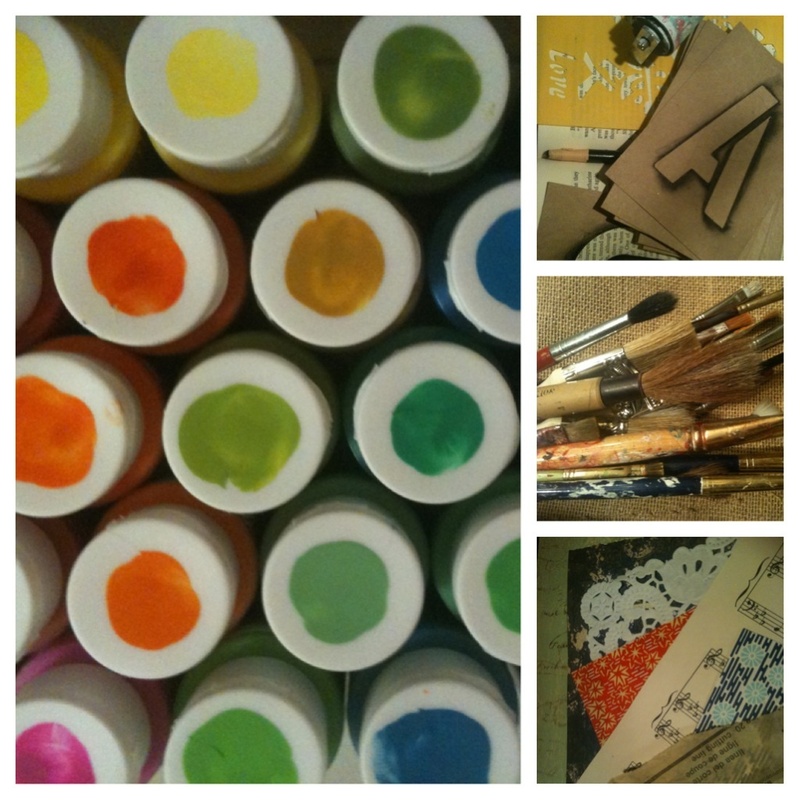 I spent the day organizing supplies for our mixed media workshop. Paints, brushes, papers, glue, stamps, stencils, inks, fabric, ribbon, embelishments- it's all ready to pack in the car and take to art in the park. I think we have enough to keep everyone inspired. We have ten creators coming to play! I'm so looking forward to surrounding myself with creative people and making art in the sunshine. Last summer, when I decided to build a little creative studio in my bedroom, one of the best things I did for myself as a blossoming artist was to organize my supplies and make them easily accessible. It was amazing how much more art I made when everything was on hand and easy to maintain. I am so proud of your progress! It has inspired me to be more creative and more productive not to mention breaking each project down to the fundamentals and taking pleasure in the process instead of just the finished product. I think this weekends Art in the Park event is just the beginning of something great. I read a book this week that made me think of you. It's a quick read and something you could relate too. It's simply called "FISH" it's about bringing play and creativity back into the workplace. It made me wonder if this was an angle you and your business partner had thought of. If you can't find the book and are interested in reading it let me know I'll see about sending you a copy! Thanks friend!!! I couldn't have done it without Jessica, that's for sure. I am very excited to hear more about your process! I always wonder if feels different in different mediums and crafts. I would love to read FISH! We actually did some FISH staff development when I worked at the community center years and years ago. It's crazy that you mention it because I was trying to remember the name of it a while back. Now I remember- the FISH philosophy from the market in Seattle right? You're on to something! I loved the book. My boss requires that I read one developmental book a month (part of her master plan to convince me that I someday want to have bigger ambitions than being the next payroll guru)and that one took me a few hours over a couple of afternoons last week when I wasn't allowed out of my chair and I had run out of non-standing up things to do. The whole premiss and theory made me think of what you guys were doing and how much of an impact something like this would have in a large stressful corporate setting. We will get together soon and chat about the different elements of the creative process. I have always wondered if other artists are affected the same way I am during the process! You're coming to visit me!! We will have lots to talk about!